Look at those views! 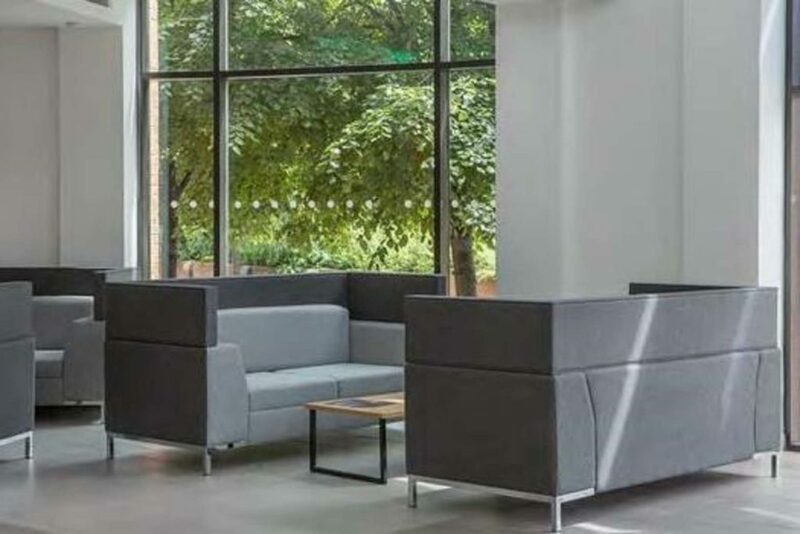 There is no other office space like this in Salford Quays!! 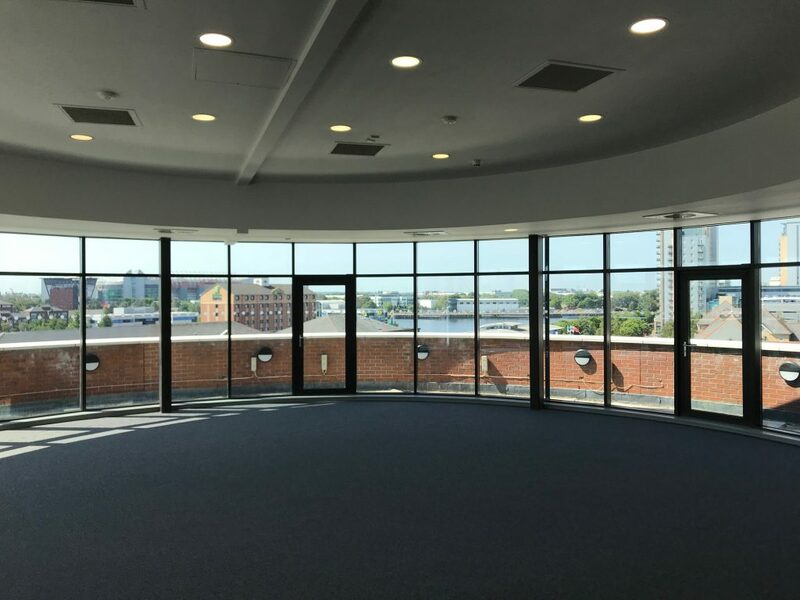 The Penthouse suite at Lighthouse is truly unique office space, being perfectly round and with stunning panoramic views and its’ own balcony. 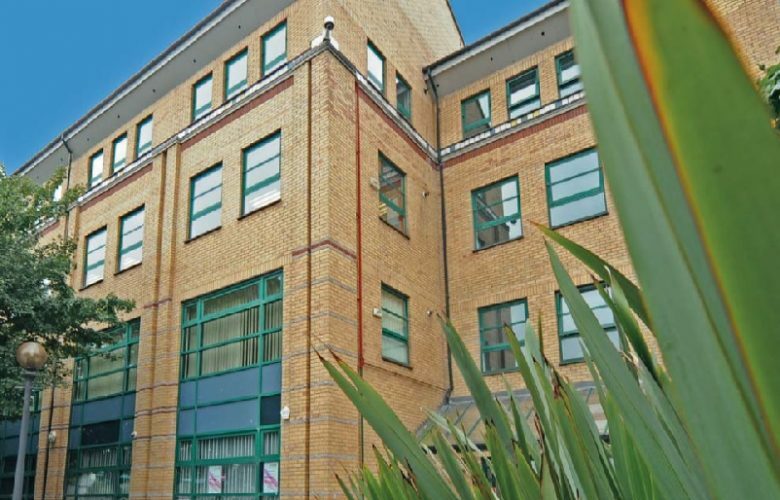 What’s more, it is the only office space on the top floor of the building, with its’ own wc’s and kitchen, giving more than an air of exclusivity! 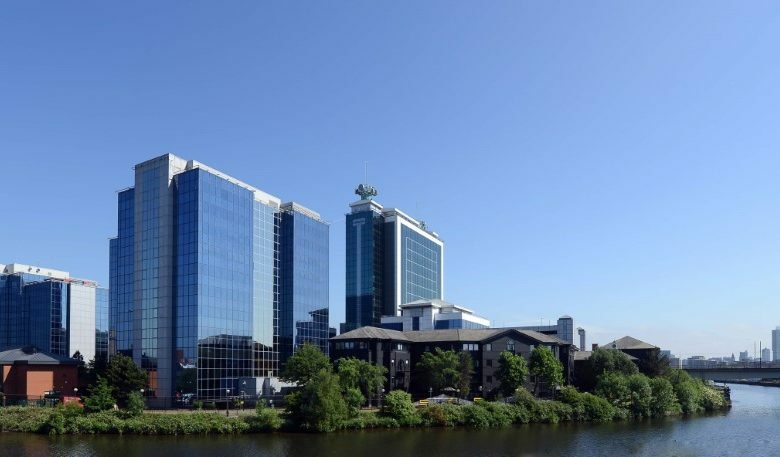 Lighthouse is a landmark building which offers exceptional quality Grade A offices to let in the heart of Salford Quays. 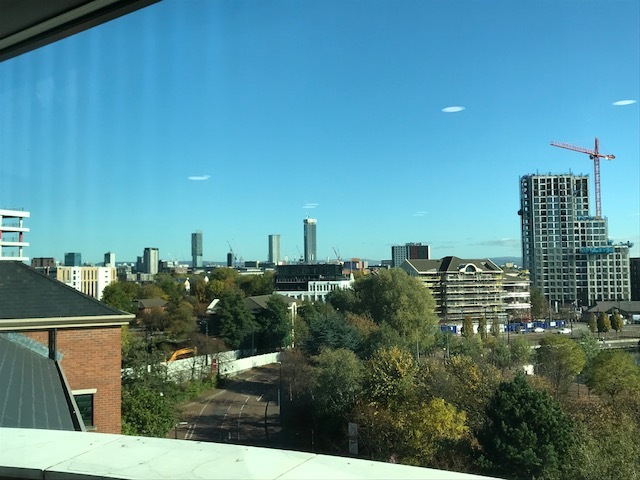 The central location within Salford Quays puts Lighthouse within very convenient walking distance of all public transport, retail, leisure, hotel and public car parking amenities. 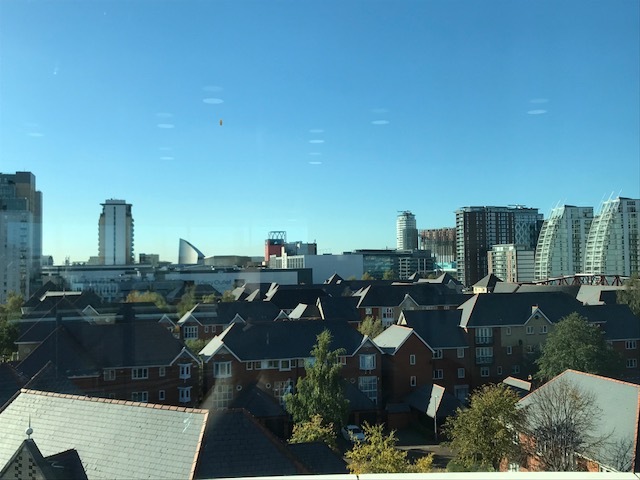 The Salford Quays Metrolink station is just a minute’s walk from the building, providing regular direct services to Manchester City Centre (with connections to local and national rail at Manchester Piccadilly and Victoria Stations), Eccles, MediaCityUK and Bury. 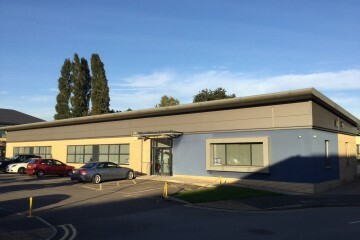 The network also offers easy connections to Sale, Altrincham, Didsbury and Manchester Airport. Food, and retail facilities at The Lowry Outlet include Costa Coffee, Lime Bar, Pizza Express, Nando’s, Café Rouge, Harvester, Bella Italia, Subway, Burger King, Deli-Fresh Salad Bar, Harry Ramsden’s, Fat Jackets, Newspoint/Post Office and Holland & Barrett. There is also the recently upgraded Virgin Active gym/health club (with swimming pool) and Vue Cinema. MediaCityUK is home to the BBC and ITV and food and leisure facilities there incude Costa Coffee, Grindsmith, Pier 8 Fine Dining & Bar, Marco’s New York Italian, Penelope’s Deli, Wagama, Prezzo, Pret A Manger, The Alchemist, The Botanist, The Dockyard rustic ale house and the Hip Hop Chip Shop. In addition, there are Holiday Inn and Premier Inn hotels, serviced apartments, WH Smith and Booths deli and grocery store. Water sports such as sailing, wakeboarding and open-water swimming are all available at the Salford Watersports Centre just 100m from Lighthouse. 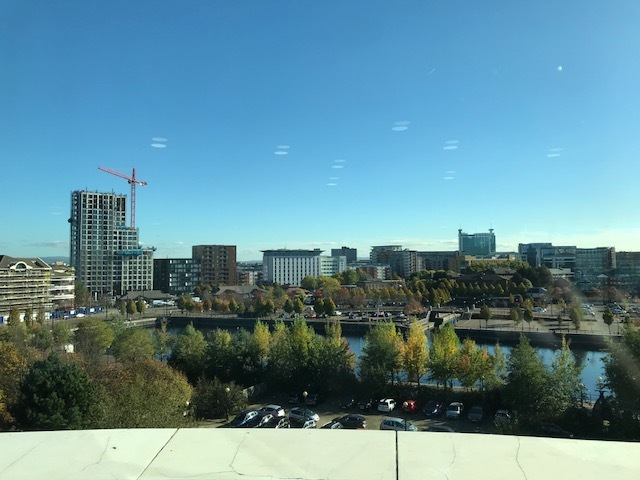 Salford Quays is easily accessible via road with Junction 3 of the M602 just 3 minutes from Lighthouse providing unrestricted access to the regional motorway network. 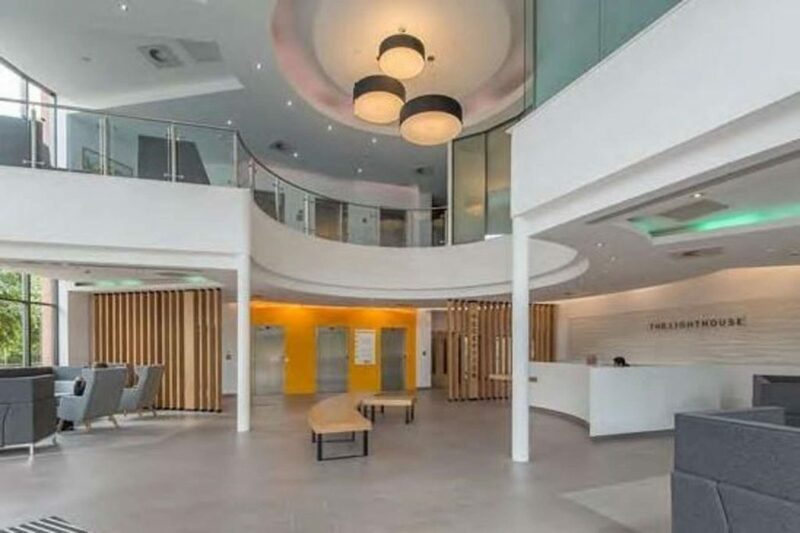 Lighthouse benefits from an impressive double height and galleried main entrance with manned reception desk, visitor seating, break-out areas and 3 automatic passenger lifts. Male, female and accessible wc’s are provided on each floor and there are shower facilities in the basement. 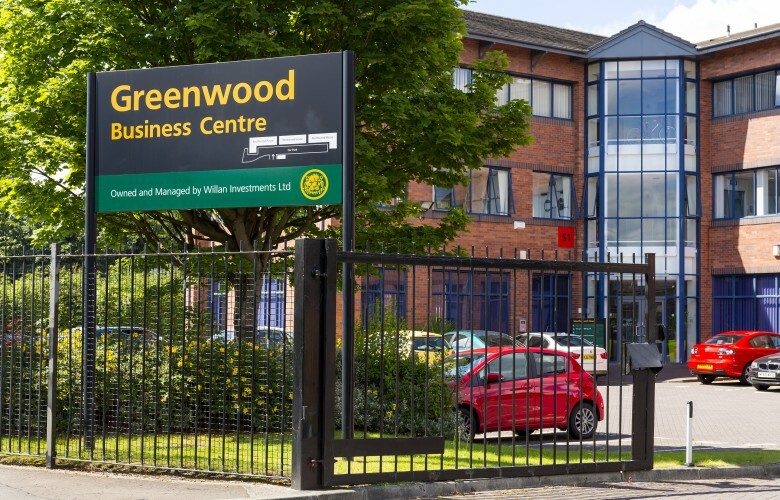 The building owners have plans to improve the on-site cycling and shower facilities. 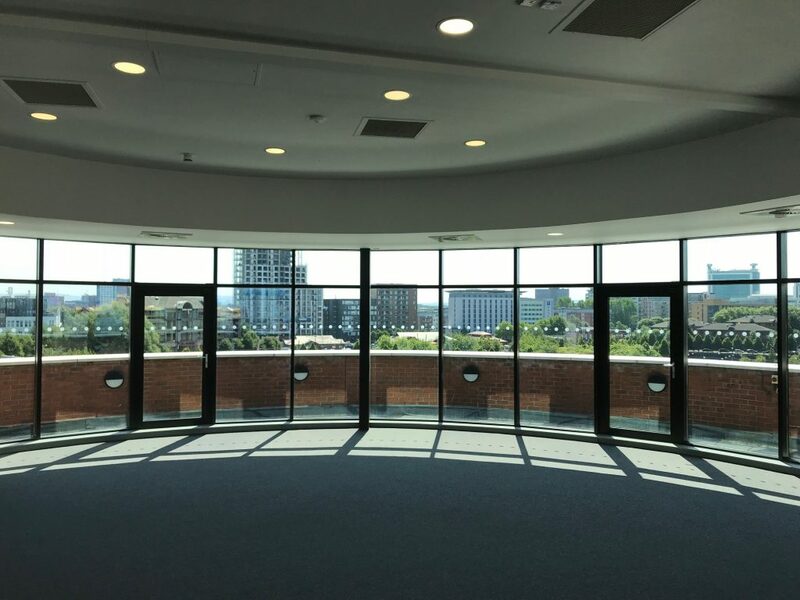 This unique penthouse suite on the 4th floor is perfectly round and extends to 1,332 sq ft offering incredible panoramic views over Salford Quays. The suite has its’ own exclusive external balcony and is self-contained with its’ own WC’s and kitchen. 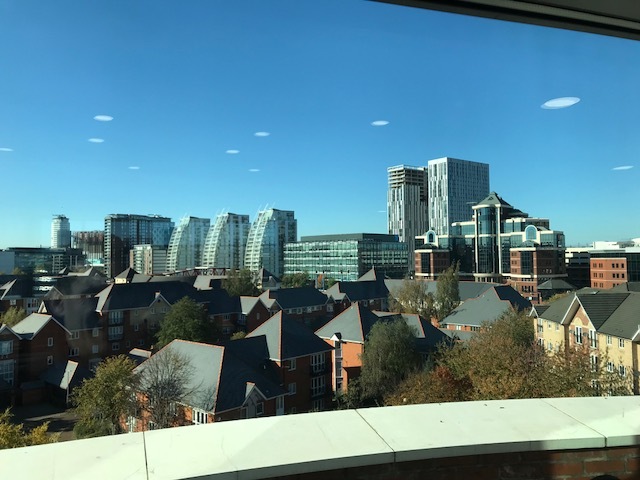 Secure on-site parking is provided on a ratio of 1:320 sq ft. Additional parking is available at the Beefeater public house opposite (subject to availability and additional cost). There is also a Pay & Display car park on St Lawrence Street immediately adjoining Lighthouse, (£1.00 for 1 hr; £2.50 for 3 hrs; £3.00 for 12 hrs) and the Lowry Outlet (less than 3 mins walk) has a public multi-storey car park (£1.00 for 1hr; £3.00 for 3-4 hrs; £7.00 for 5-6 hrs; £12.00 for 6-12 hrs). 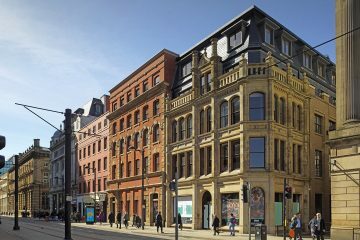 The suite has a Rateable Value of £12,500, meaning small business rates relief may apply for qualifying businesses. This could reduce the rates payable for 2019/20 to just £1,023 pa.